Thanksgiving Is Upon Us. You Should Definitely Hide From Me. Confession time! 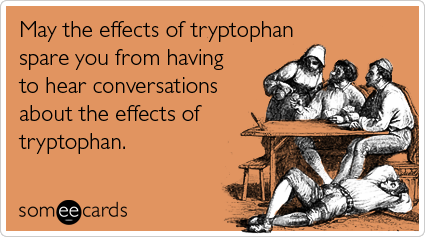 Last year, I turned into a Thanksgiving psychopath. Maybe that’s a little strong. Last year, I turned into a Thanksgiving lunatic. Ok, so there’s no real way to make that sound pretty. It was bad. What do I mean? Well, I promise I did not become a horrible person. How could I when Thanksgiving is my absolute favorite holiday? But I did kind of go overboard with the cooking and baking and cleaning and crying. I don’t remember why I cried, but I bet it had something to do with almost driving a Ginsu knife straight through my hand while attempting to whip up sweet potato wedges, turkey samosas, pumpkin cheesecake and pumpkin bread pudding simultaneously. I was making all of these things for a post-Thanksgiving party I was hosting for my dearest friends. And it was a potluck dinner. See? Overboard. This time around, I kind of feel like the holiday sneaked up on me. I’m pretty sure I was prepping in early October last year, so now I’m feeling a little bit like a slacker. Admittedly, I’ve been distracted and busy. My trip to San Diego was a much-needed vacation where I got to spend some quality time with my bestie and eat my way through a beautiful city (I had an antelope burger! I’ll never eat it again!). I’ve also been…you know…dealing with some stuff or whatever, so I guess I kind of forgot that the best day ever was approaching. Basically, that now means one thing: it’s crunch time. Welcome to my Heaven, and possibly your Hell. My Heaven/your Hell is covered in pumpkin, and involves a stellar soundtrack and me pouncing on anyone who dares disturb my process. Now, I’m being really serious: if you hate pumpkin, you and I might need to be on a break. That’s because a. there are going to be, like, three consecutive posts that feature pumpkin on this blog and b. you buggin’ if you hatin’ on pumpkin. Ready? Ok! 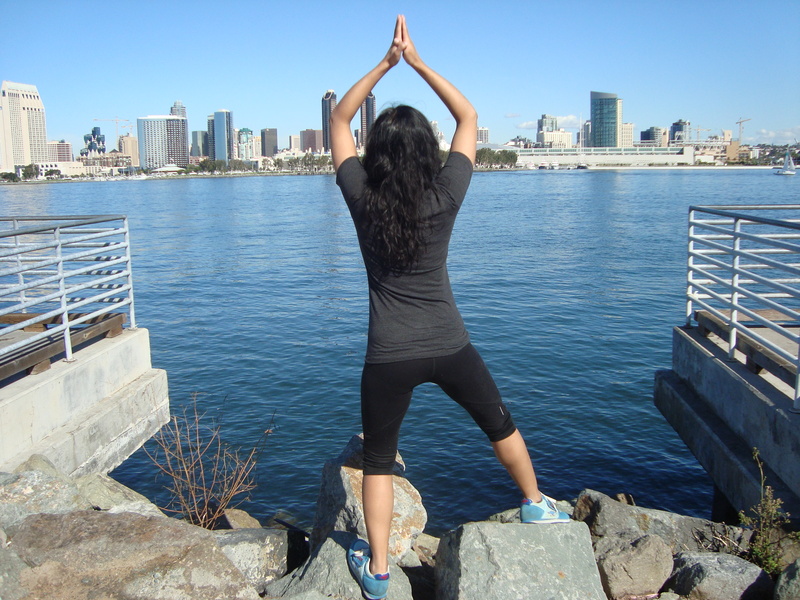 Me, becoming one with the city of San Diego. Actually I'm just a fool. Preheat your oven to 350ºF. In a medium-sized bowl, combine flour, salt, baking powder and your spices. 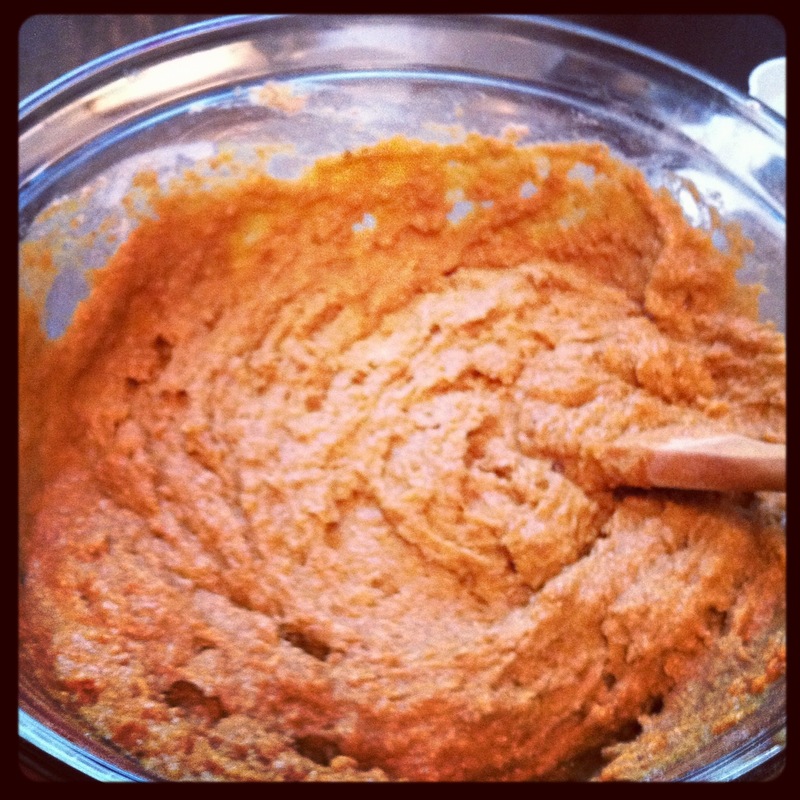 In a separate larger bowl, whisk together the oil, egg, pumpkin, milk and vanilla. Slowly fold dry mixture into the wet ingredients and mix until just combined. It will still be a little lumpy.Yes, I used Hipster App for iPhone again because I am lame and forgot to charge my pretty camera. Grease a doughnut pan and pour the batter evenly into each pan and bake for 12-15 minutes, until a toothpick inserted into a doughnut comes out clean. 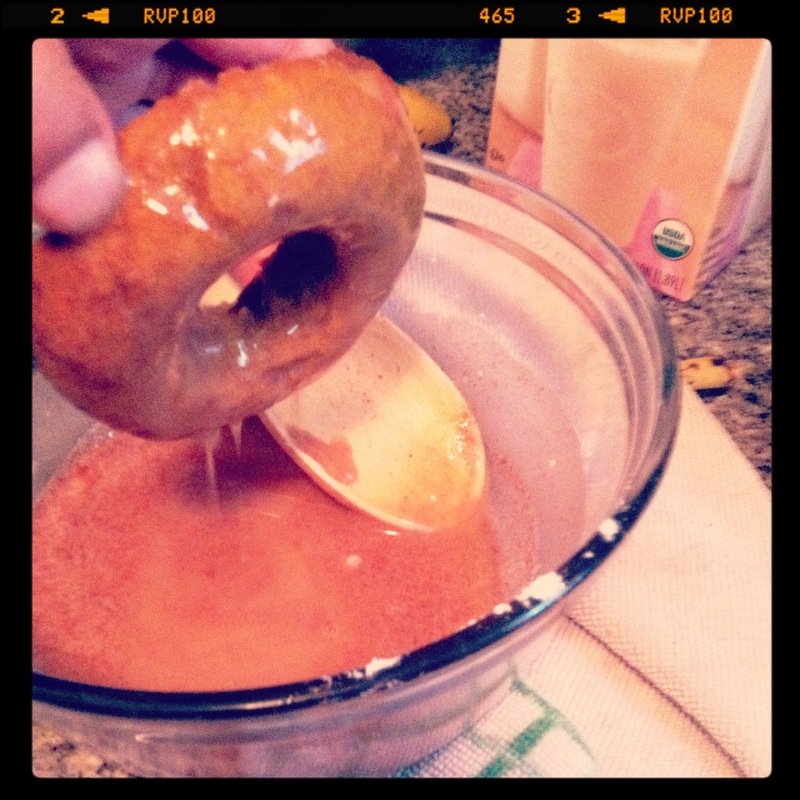 In the meantime, make your maple glaze. Whisk together all three ingredients in a medium-sized bowl until glaze-y and syrup-y. Yep, you’re done. 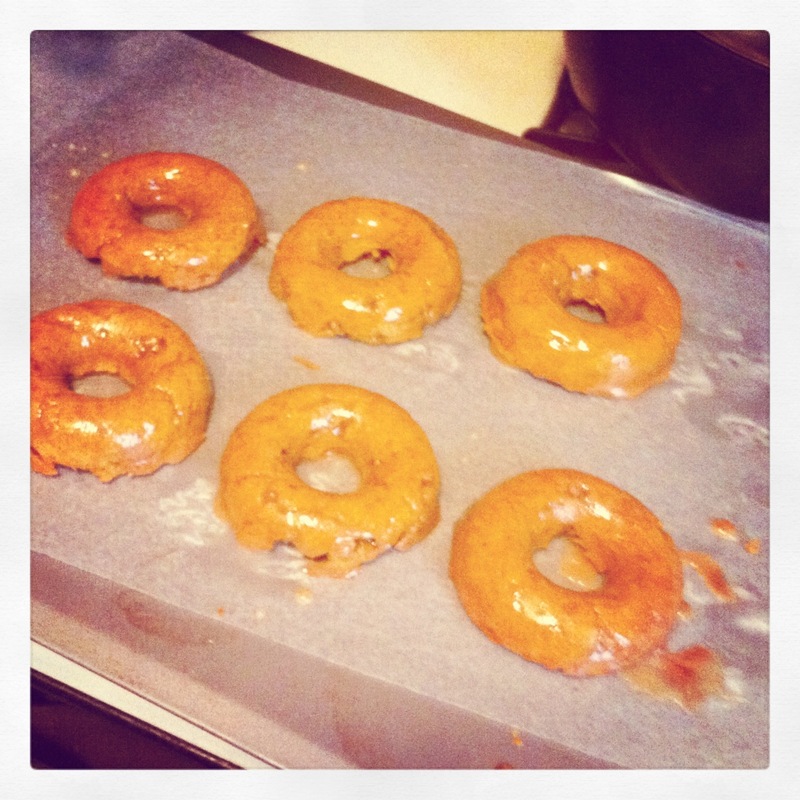 When the doughnuts are cool enough to touch, drench each one in the glaze until completely soaked and covered. So…I liked these. The thing that troubles me is that my parents would love these. What do I mean? 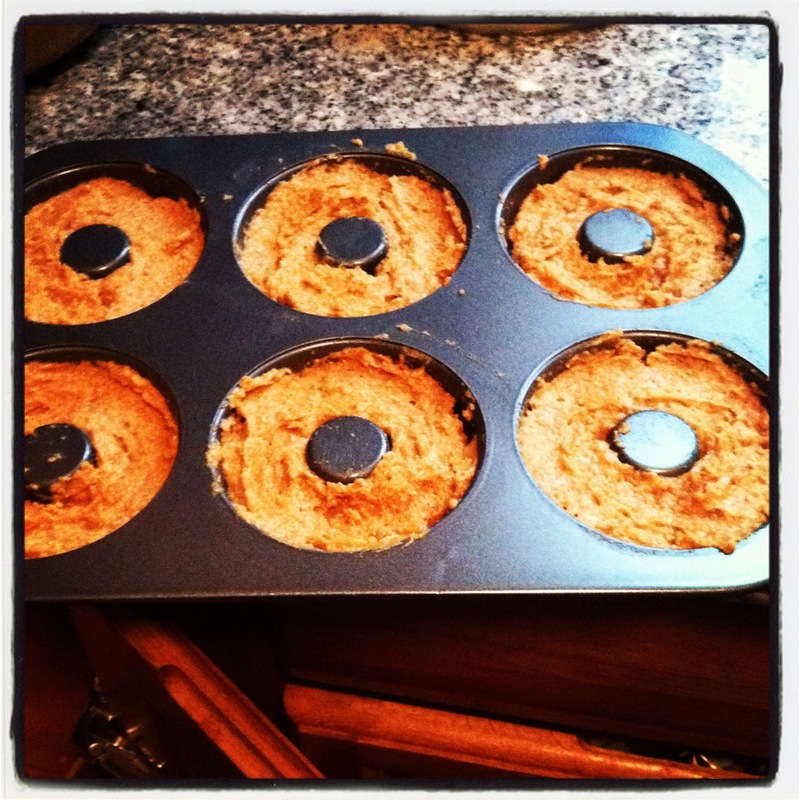 I mean that these are low-sugar whole wheat doughnuts, and they taste that way. I also mean that I am kind of programmed to hate most of the things my parents absolutely love, because they love things like Raisin Bran and Michael Bolton. Don’t get me wrong, I was happy to have made them and will probably make them again…for my parents. Keep a look out for at least one more pumpkin post this week. Yup, it’s like that. I did warn you. ← Sad Shibow Needs a Peanut Buttery Hug. Google Provides Said Hug. Kind Of.